The company has produced a number of critically films and series including The Crown and the Oscar nominated Roma. But in the meantime, it expects to see some “modest short-term churn” in subscribers which will fall 8% to five million compared to 5.4 million in the second quarter last year. Netflix said that for the first three months of the year, profits rose to $344m compared to the same period last year, with sales up 22% to $4.5bn. While total revenue is expected to increase to $4.9bn in the second quarter, income growth is forecast to slow to $249m. 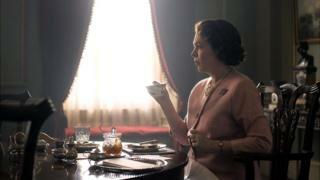 Netflix said it is looking forward to a “strong slate of global content” in the second half of the year including the third series of The Crown, this time starring Oscar-winner Olivia Coleman as Queen Elizabeth II and Stranger Things.